Home Advantages. Hardware Advantages. AW Series. AW Series lights are specifically engineered to optimize a variety of error proofing (poka-yoke) applications in manufacturing environments. 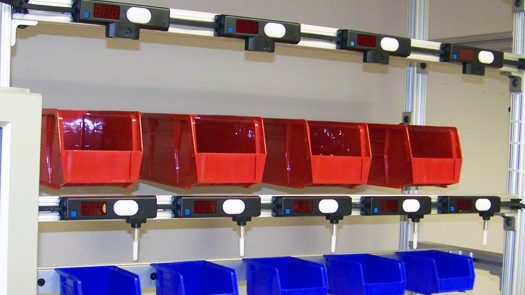 The devices mount to a highly flexible AI cable to fit flat or curved media surfaces, such as workstations and work cells constructed of tubular rack (popular in production facilities). AW Series provides options for both touchless and traditional button push activity confirmation in one device. 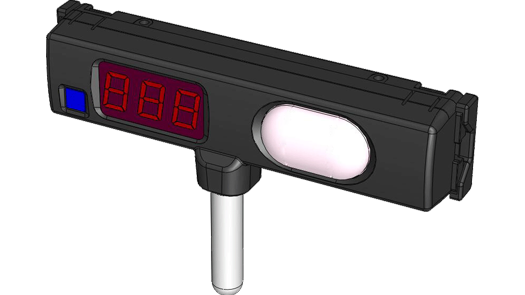 Operators can signal task completion by drawing their hand across a limit switch, by breaking infrared, photo-eye-based light curtain, or by pushing the dome light/confirmation button. This is ideal for lean production environments seeking the benefits of light-directed error proofing without additional movement. Devices are offered with 0- or 3-digit numeric displays. The bright dome LED light illuminates in seven different colors: white, red, green, blue, orange, purple, and turquoise. This opens up a variety of additional process quality improvements by using different light color assignments. All AW models conveniently mount to both flat and curved storage media surfaces. AW uses the same AI cable technology as our MW Series lights. Mounting brackets are available to apply AW to virtually any media, while enhanced module enclosure options add protection in environments where impacts are more likely. 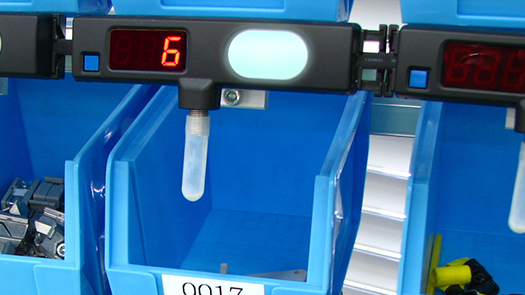 Available with no quantity display or a 3-digit display. Domed LED light/task confirmation button available in a seven color option (white, red, green, blue, orange, purple and turquoise). AI cable system enables mounting to virtually any application; mounting brackets available for flat shelf or pipe rack installation. 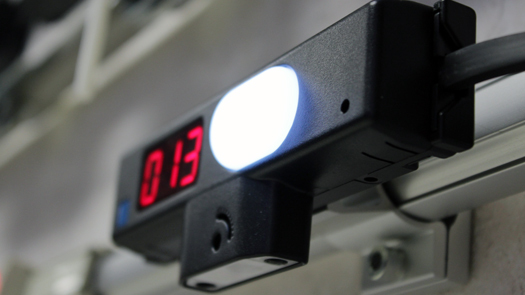 Available AW task confirmation options include touchless (via limit switch or infrared, photo-eye-based light curtain), and/or traditional push-button.